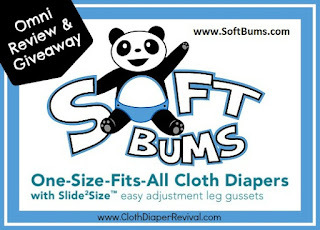 The first diaper my son ever wore was a SoftBums Echo. He was 2 weeks old and it was adorable! I couldn't resist getting his newborn photos down in this adorable giraffe print from SoftBums. 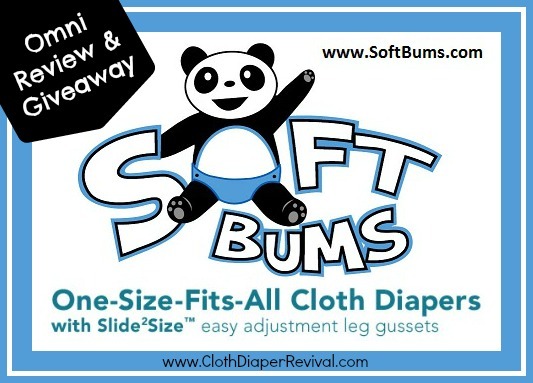 A few months after he was born, SoftBums introduced the Omni pocket diaper and I've been dying to try it ever since! SoftBums was kind enough to send me an Omni and their new one-size pod to review and share with you! 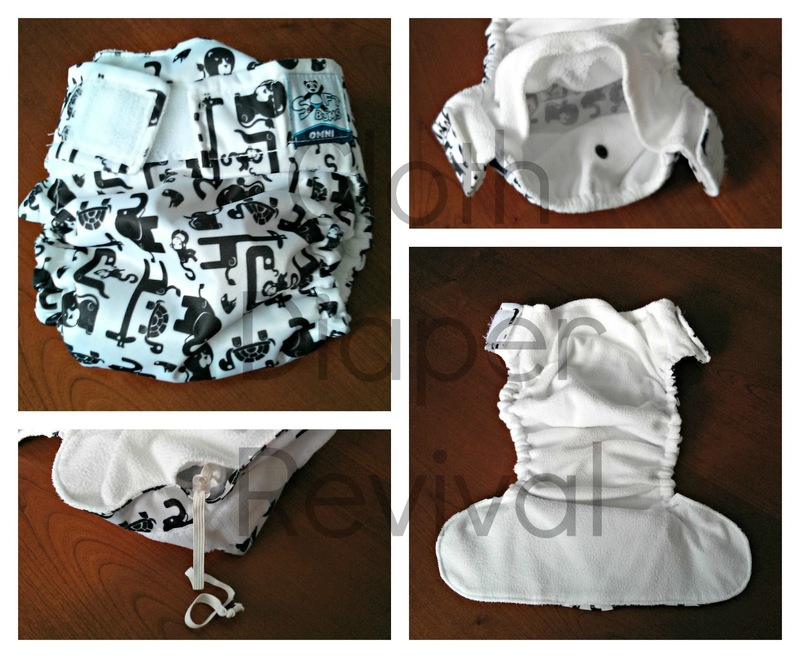 Pocket or AI2 Diaper: Can be used as either a pocket diaper or an all-in-two. You make the choice! Snap in pods: Prevents the pods from shifting during use. Also can be treated like an AIO diaper if you don't take off the pods in between use. Slide2Size sizing: Easy size adjustment with a sliding toggle, drawstring in the front of the diaper. We have been using the Omni for daytime and naps and we love it! The SoftBums system is really great and one that truly fits on tiny babies! Of course, my little one is not so little anymore. At 25 pounds, I love that I can get the same trim fit with SoftBums as I could get when he was a newborn. The toggle sliding system makes it really easy to adjust the size. I do wish the elastic had some kind of numbers or marking to be sure each leg was adjusted to the same length. I have done a little experimenting with the pods and have stuffed both my one-size bamboo pods and my one-size super dry touch pods into the pocket. Both have been a great fit! I love that the new one-size pod can be snapped together when using both inserts. It really makes stuffing the diaper easier. I have gotten really lazy with my pocket diapers lately and the joy of stuffing diapers has worn off. I love that this diaper can be used as either a pocket, AI2, or even AIO! I think this is truly a unique feature. The pods don't snap off in the wash, so if you really wanted to treat it as an AIO, you could! This is my favorite way to use SoftBums. Adorable prints and colors released monthly! This is a sponsored post. I received a diaper for reviewing purposes from SoftBums. All opinions are my own. Thanks for the giveaway! I love our Echos and would love an Omni! Thanks for the giveaway and the review! I'm new to cloth diapers and I'm learning so much, thanks!